This past weekend, the finals of the U.S. Open of Surfing, a six star World Qualifying Series event, graced the south side of Huntington Beach pier. 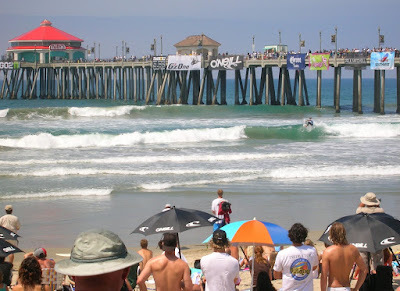 Amidst the world class men’s and women’s surfing, skateboarding, BMX, and freestyle motocross, one could not ignore the babble that erupted from the loudspeakers as the announcers narrated over the lulls in the surf. In one impulsive outburst, the announcer denounced high oil prices and their impact on the economy, declaring that a recession in the U.S. has impacted everyone based on his anecdotal evidence of more surfers spending their daily lives at the beach. A quick glance around the venue, however, painted a much different picture. Dozens of sponsors had erected large tents and displays to promote their products. Honda, the headline sponsor, had no less than ten vehicles and personal watercraft conspicuously arranged around the venue. 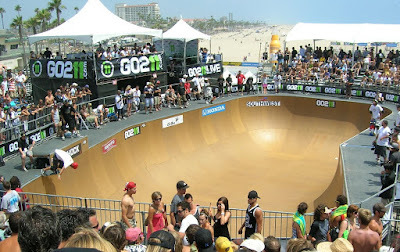 Other companies distributed free clothing, energy drinks, hotdogs, and natural food bars to more than 100,000 fans that crowded the beach to enjoy the free events. The U.S. economy, it seems, is resilient in the face of bank failures, high oil prices, and rising inflation. Despite the challenges facing the economy, the U.S. has not experienced even one quarter of negative economic growth, with the first quarter of 2008 registering a 1% increase in gross domestic product. Thursday’s release of second quarter GDP growth data will likely show similar signs of modest growth, refuting projections of a recession. When it comes to economic matters, however, perception is reality. Weakness in housing has affected both banks and consumers, which continue to entrench themselves fearing further economic distress. Unemployment has risen with continuing claims rising 21% to 3.1 million people over the past year. The diversity of the American economy combined with extensive global integration has provided support, however, to an economy afflicted by pockets of weakness. Major investments by Asian and Middle Eastern funds have bolstered the capital positions of U.S. financial institutions while Congress and the Federal Reserve have enacted a seemingly endless array of stimulus and bailout packages designed to alleviate weakness in housing and financial institutions. The ability of the U.S. economy to avert a full blown recession will depend largely on the restoration of public confidence in the financial system and an expansion of the availability of credit. 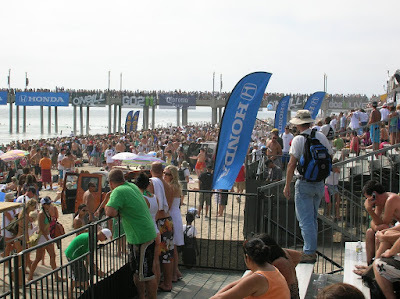 Public consternation over high oil prices and news of bank failures may dominate the media, but the spectacle of the U.S. Open of Surfing suggests that both the U.S. economy and the Huntington Beach south swell will keep on rolling.